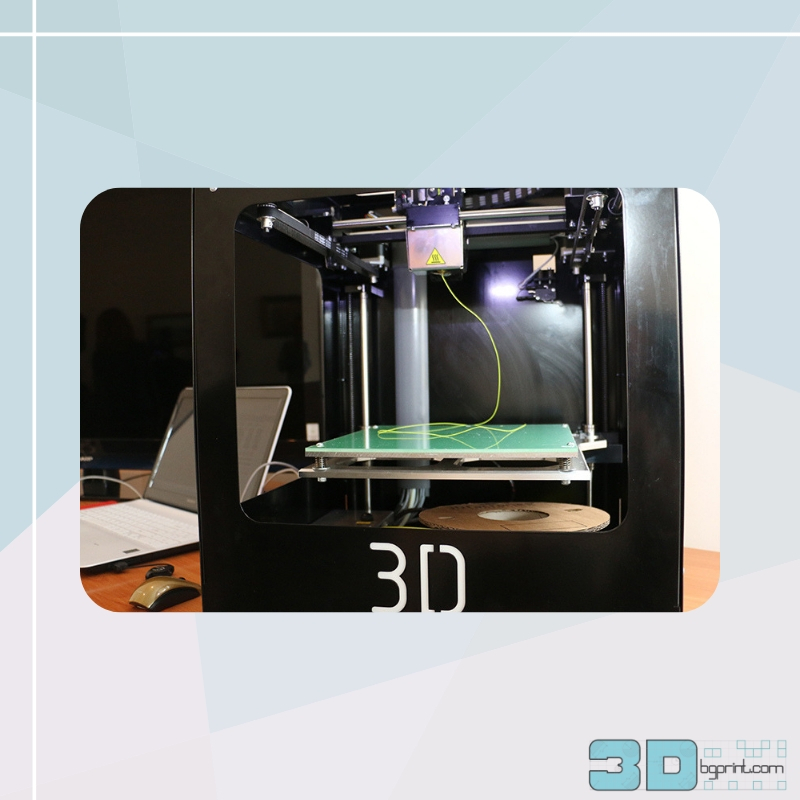 These were the words of theDirector of www.3Dbgprint.com, which selected Medical University-Varna among the rest of the medical universities in the country to get a donation – a 3D prototyping printer for the needs of student training. “We chose exactly the Medical University of Varna because, in our opinion, it is the most technologically advanced medical university in the country, which is constantly seeking to introduce new technologies in the student training. The German company “3D factories”, which we have been representing in Bulgaria since October 2014, has done absolutely the same – it has donated its first machines to universities.Thus, following its example we decided to do the same,” said the representative of the donor company during the information-demonstration meeting, held today – 7 April, at the Conference Hall of MU-Varna. Thus, the use of 3D prototyping printers in the training process at MU-Varna will be added to the 3D anatomy training, Blackboard system for supplementary e-Learning, Turning Point Technology for ongoing assessment of students’ knowledge, virtual microscopy and simulation training whose introduction at the University is forthcoming. Initially, NASA introduced similar 3D technologies for space shuttles. However, these technologies have been introduced more widely in the field of prototyping and medicine over the last 7-8 years. Besides the fields of architecture and industrial design where they have been used for making models before launching serial production, nowadays prototyping 3D printers have been widely used in the medical field for making dentures, implants, in dental medicine and dentistry, for making prototypes of organs. 3D printers operate with thermoplastic materials. These are both degradable plastics, developed on the basis of sugar cane or corn and plastics derived from petroleum products. The printer donated to MU-Varna operates with the so-called ABS material, used for making Lego parts. During the demonstration the printer produced a 3D anatomy ear model. According to the representatives of “3D factories”, 3D printers can also operate with different metals, and here is some news especially for culinary arts lovers – the printers can also work with dough and even chocolate. Soon it will be possible to produce prototypes entirely made of organic materials. The Vice-Rector for International Development, Quality and Accreditation Prof. Todorka Kostadinova thanked on behalf of the academic management for the donation – a token of respect and recognition, and presented a Certificate of Donation to the representatives of the company, and in unison with the Health Workers Day she wished all participants to be healthy in order to fulfill their aspirations and goals.